Get out your checkbooks, ’90s kids, because the iconic house that the Windows 95 maze screensaver was based on is now officially on the market. This northwest Washington chateau has been owned by Ron Fletcher for 30 years, but he’s looking to downsize from this winding, windowless labyrinth—which means some lucky buyer is going to own an iconic piece of computer history! The sprawling home has over 12,000 square feet of floor space, although the actual area can change drastically each time you enter the house, as all the paper-thin brick walls instantly reset at random every time you run into one of the countless yellow, smiling orbs that adorn the home. Just like you remember! 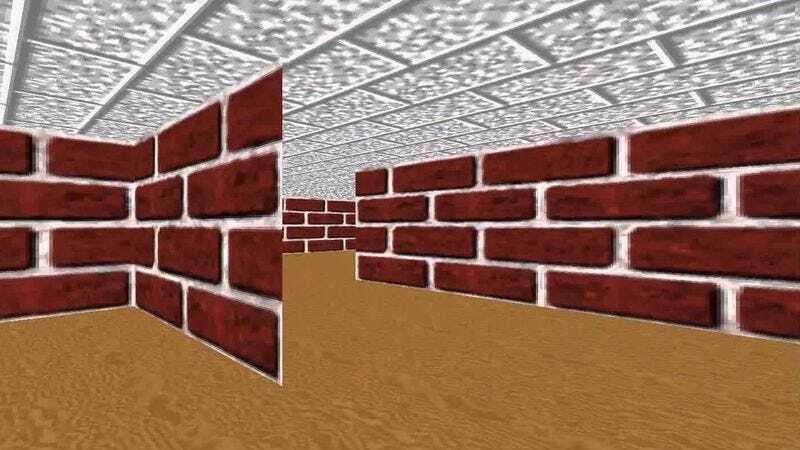 If you were the kid who couldn’t wait for the computer to idle long enough so you could enter the expansive world of the 3D maze screensaver, you will not be disappointed with this house. The limestone moldings are all original, and those black crystals that turn the entire maze completely upside down so you can walk on the ceiling? This house has ’em all! Are you going to be the next lucky owner of this treasured piece of ’90s culture? Better act fast, because this hot property won’t be around for long!